You know, for Series 9 I finally stopped downloading Doctor Who illegally and started just getting it through iTunes because I realized how cheap it was. This has turned out to be the exact wrong time to make such a decision, because the BBC's new Doctor Who spin-off Class debuted last week but won't materialize here in America until March or April! So I haven't seen it yet. The first time I watched it, I was like, "This all a bit The Tomorrow People." The most famous one is the big hand, which comes from a bit in the first episode, arguably the only good episode of the whole show. (Or maybe the title sequence inspired this moment, I don't know.) One of the Tomorrow People-- they're basically the X-Men, mutant teenagers with superpowers-- says to a new one who is coping with his new powers: "Imagine that your mind is a fist, a great big fist clenched tight. Now, let it open. Slowly. [...] Just think of the fist opening very slowly, like a flower." 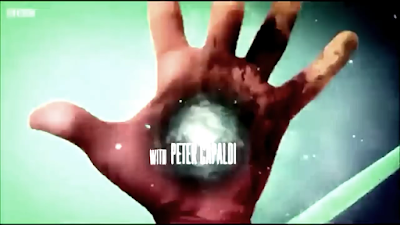 The opening hand is thus a central motif of the titles, representing the mind opening up to perceive the universe. 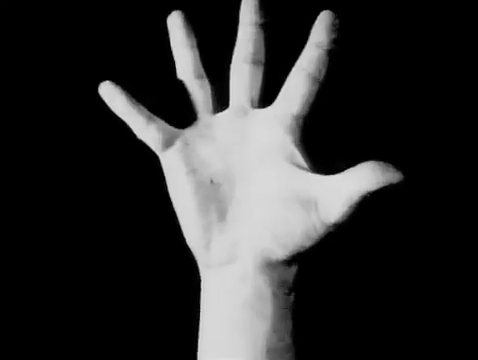 So when a giant hand flew up at me in the Class opening titles, I was like, "Aha, it is all a bit The Tomorrow People!" Alas, the music for the Class titles, a song by British singer Alex Clare (Wikipedia says his genre is "Alternative rock / electronica / blue-eyed soul / drum and bass / dubstep / electro house / R&B soul") didn't work for me as well as Dudley Simpson's eerie theme for the original Tomorrow People. Your best bet is to quickly click the full-screen button on the video on the left, so you'll get just the Class imagery with the sound of The Tomorrow People. Someone on YouTube has done this, but they made an error in applying the Tomorrow People theme and it starts over halfway in. Anyway, I like it. I dunno if it's better, but it made me smile.